Stack Sports provides a complete, innovative technology platform for national governing bodies (NGBs), across all sports. Through deep, long-term relationships with more then 50 leading NGBs, Stack Sports has emerged as the technology leader in the space. We offer NGBs the best individual solutions in the marketplace with an integrated ecosystem that creates efficiencies of administrative functions and optimizes the resources of its users. With a national player database and our integrated online sports management tool, we can support the day-to-day operations of your state associations, national affiliates and the thousands of affiliated leagues, clubs, and referees across the country. 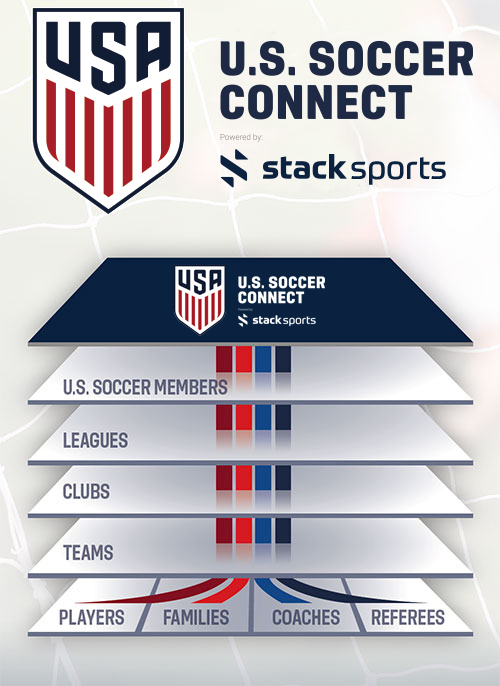 This enables us to implement a player registration and communications ecosystem that streamlines the process between these groups and ultimately coaches, parents, and athletes.